I have to admit, the concept is definitely intriguing, though I could definitely say that neither Sony or Microsoft would have copied it. They have a game plan for consoles that involve massive amounts of power. If this rumor/report is true, Nintendo decided to veer off and focus on where their strengths are right now: The handheld market. 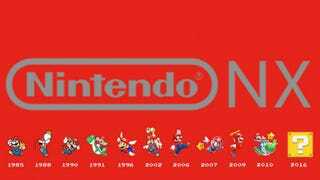 The NX isn’t exactly a home console. It can be, if you dock it and plug it into the television. But for all intents and purposes it is a handheld device, the successor to the 3DS. And it looks like Nintendo bucked regular upgrade trends just like Microsoft did with the Scorpio. Microsoft shot for GTX 980 levels of power. That isn’t exactly the next step in the usual upgrade cycle of a console. They skipped steps 2 through 9 and went straight to 10. Nintendo did the same thing by using NVIDIA’s best handheld graphics chip, the Tegra K1, though it could also be possible that they’re using the Tegra K2, which is due for release next year(If anyone can get me a source for this, I’d appreciate it. I’ve done my Google-fu and it has turned up zero results for a Tegra K2. It would make more sense for them to use the Tegra X1 since its more powerful than the Tegra K1, being based on NVIDIA’s Maxwell architecture instead of Kepler. If a K2 does exist, then it’s likely based on Pascal in some way and would probably be far more expensive than the X1.). Now, I skim through the comments sections on various websites because I love to see peoples reactions, both positive and negative. In this particular case, I’ve seen a lot of negative, specifically regarding that Nintendo has, yet again, decided to eschew graphics in favor of treading a new path. That it doesn’t stand up to the current generation systems and that alone makes it a failure. But, see, if what has been said about the NX is in fact true, then you actually CANNOT compare it to the Xbox One and PS4. Why? Because it isn’t actually a home console. It’s a handheld like the 3DS that can act like a console, but at its core it’s a handheld device. Handheld graphics cannot match the graphics of the latest and great home consoles, or at least, they won’t match the Neo and Scorpio. If Nintendo is using the Tegra K2, then its quite possible that the power of the NX is in the ballpark of the Xbox One and PS4. But even if we don’t compare it to them, as we shouldn’t, it is still the most powerful handheld device ever released in the gaming market. It trumps the 3DS and the Vita regardless of which Tegra chip it uses. Now Nintendo can put all their eggs in one basket rather than two. All their greatest games in one place, and you can take it on the go with you when you’re not at home. It’s actually a great idea once you get thinking about it. And since it’s in an entirely different family than the Xbox One and PS4, you can’t compare them to one another, or at the very least you can’t claim that they’re competing. It’s essentially a different market now. A lot of people, myself included, have been clamoring for a successor to Pokemon Colosseum and Pokemon XD, a Pokemon RPG that can stand up to its handheld counterparts. And with the power of the NX, they can push the Pokemon games farther than they ever have before, and it’ll probably look better than Colosseum and XD as well. Give it voice acting and it’d be perfect. Now we’ll finally get to play a Pokemon RPG on our televisions for the first time in years(I am not counting Pokken or Battle Revolution. Battle Revolution was a very stripped down game compared to its predecessor’s and Pokken was a fighting game. ), probably starting with the eighth generation games. Only time will tell if these reports are actually true, but it does sound like something Nintendo would do, and the unification of their handheld and console divisions, as well as the rumors about cartridges, all lend weight to this. What do you guys think? Would you have preferred a stand alone home console? Or are you content with the direction Nintendo has potentially decided to go?